We want to touch on a few of those that may well continue to give beyond the holiday season, and not in a good way. Some are no doubt very obvious to you, but a couple might be easily overlooked in a rush to get the shopping over with. Sure, maybe you think it would be cool if you gave your parents a web browser appliance for Christmas. You could stay in touch via email, and they could use it to go online and check to see how their Beanie Babies collection is faring. But the untold and ugly truth is that such a gift requires a monthly payment to make it work. Somebody needs to pay for the connection, and without it the cool gizmo just gathers dust. In effect, you just forced another payment on your intended gift recipient. While it is all new and fun for the holidays, six months down the road it may not be looked upon with such acceptance. Besides, they might not want to pay a monthly fee just to find out that you never email pictures of the kids anymore. Even worse, you may decide to be kind and foot the bill yourself. Suddenly a gift giving gesture turns into the gift that just keeps on taking. After you get tired of cutting the check for the service, how do you break the news to those you gifted? All of this can be avoided by following a simple rule – if it costs a monthly fee, the item itself is not really a gift. After all, why else would carriers so heavily subsidize cell phones up front? You don’t want to subsidize a gift to anyone. While the move for a lot of gamers to consoles have lessened this problem, it is still quite possible to buy a top notch computer game gift that requires a video card upgrade to use. The end user pretty much knows what their machine’s capabilities are, and buys accordingly. You may not have this upfront knowledge when browsing the latest really cool game isle, and the carefully manicured screen shot is not going to help. This problem is not just for games, but for other types of software as well. You can’t buy video editing software for a Pentium 3 Windows 95 user and expect it to work, no matter how much of a perfect fit it seems at the moment. And when it comes to buying a web cam, you will be surprised how many really do not work very well with an older machine. Another thing to check is exactly what kind of computer the user has. A really cool Windows game will probably not work on a spiffy new Mac or Linux netbook. In the case of netbooks or “thin” machines, the user may not even have a CD or DVD drive to install the software. 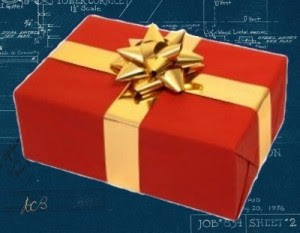 Unless you are sure of the intended gift recipient’s hardware, hold off on a software gift. Even then read and double read the requirements. If the end user’s machine is fairly new, you can proceed with a little folly. But the last thing you want to do is to get them a relatively expensive software gift that turns into a paperweight ticking its way into obsolescence. The digital keyfob is a cool looking item, and having the ability to keep bright color pictures in your pocket that never get crinkled or worn is nice. However, if the person you are gifting is of a technical nature, chances are they already have in their possession something that can carry and show pictures. In most cases, even the most basic smartphones and iPhones can do this, and in better quality than even the best digital keyfobs. So, why would you want to give them a gift that duplicates existing functionality AND makes their keyring take on unexpected girth? Of course, they may indeed carry them out of guilt, but those 20 or so pictures pale in comparison to the 1000 already in their pocket. Mp3 players take what used to be the home music collection and condenses it into your pocket. Having grown up in the days of the Album and 8-track tape, I cannot impress upon you how much this ability delights the technical music lover. But if your intended gift recipient already has a fairly recent smartphone, chances are they already have some capable tunage already in their pocket. So why give them another device to carry around? As with everything in life, there are exceptions. Perhaps a dedicated audio player would be perfect on workouts where the phone would not be a good fit. Or maybe an extra player to load up and keep in the car would be nice. But unless you know for sure that your tech loving recipient has such a superfluous use in mind, it may be best to avoid duplicating existing functionality already in their possession. So, you really want to drag your parents into the computer age, but they still have a flashing VCR at home. Out of a desire to do something nice for them, you buy them the latest killer notebook with the latest simple to use operating system for Christmas. You hope to see them open it up on Christmas Day, hug you for being so thoughtful, and get right down to using it after a brief tutorial you happily give them. Okay, stop the sugar plum daydreams. You really don’t expect your parents, who to this date have not on their own found it necessary to purchase their own hardware, to inherently know the difference between a file and an attachment? Would they know to hold a mouse when pushing the buttons, instead of sending the cursor off into unknown directions right before clicking? And if they do figure out how to send and receive email, would you really expect them to know that the nice man from Nigeria really wants to only take their money? With such a technical gift, expect to be asked a lot of questions. At first, every conversation will go from a “ just go here and click there” into a full blown discussion about how exactly a GUI works. It may be very expensive in time, something you may not have to give freely. But it is not just you that could suffer. The learning curve on something new to a person can be frustrating, and they may not have the time to invest either. The well intended gift could turn into the white elephant in the living room, something avoided out of convenience yet no one wants to talk about it. In conclusion, while the spirit of giving is something to be taken to heart, with a little caution you can avoid giving a tech gift that really is not a good fit for the intended person. A good rule of thumb is to weigh a technical gift with the intended recipient, removing your opinion of such a device in the process. That is, what may be great for you may not even be wanted by other people. After all, there may very well be a good reason as to why they do not already possess such a wonderful gadget.